Call (518) 631-2448 for employment opportunities. Welcome to Ellis Medicine. We provide acute hospital care to families in a diverse community from the Schenectady, NY area and beyond. Our care network is comprised of more than 600 affiliated physicians and over 3,300 employees. At Ellis Medicine, we’re proud to be one of the largest employers in the area, giving us the ability to offer health care for members of the whole family, young and old, bringing services they need at a site convenient to them. Often, we’re right in their own neighborhood! 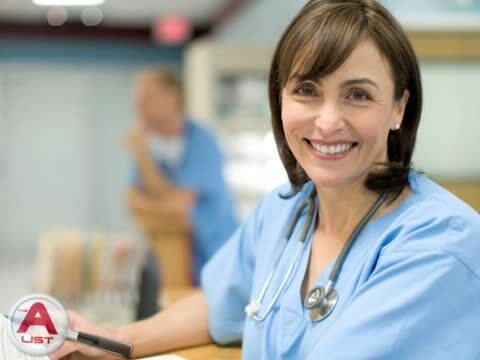 Visit our website today for information about registered nurse jobs and our employment opportunities! If you're looking to start your hospital career in a nurturing but driven environment, there's no better place in Schenectady, NY than Ellis Medicine. Our staff is committed to pushing the boundaries of what it means to give stellar care. The hard work of our dedicated staff is what makes us thrive. If you're interested in perusing our employment opportunities, visit our website. There, you will learn more about what makes Ellis Medicine such an excellent place to work. A longstanding innovator in health care in upstate New York, Ellis joined in the pioneering spirit of invention, helping its leaders to re-imagine the world and usher in a new era of health care. We are continuing to grow and improve. Today, Ellis Medicine encompasses three main campuses and five additional service locations. Projects on our docket include a new, state-of-the-art Emergency Center, an improved, easily accessible parking facility at Ellis Hospital, and an impressive addition to the Bellevue Woman’s Center. These are just a few of our ongoing efforts to modernize, streamline and offer the highest quality health care available for every patient we serve. Part of what enables us to serve Schenectady, NY with such high standards of excellence is our team of experienced, caring staff. If you are interested in one of our rewarding hospital careers, contact us to learn more about our employment opportunities? If you’re looking for a fast-paced, challenging and highly rewarding hospital career, it’s time to take a closer look at Ellis Medicine. Here, you will find a diverse number of employment opportunities, including Registered Nurse jobs and other specialties. At Ellis Medicine, you'll find that caring extends to both our patients and our people. We are committed to each other because when we join together, our patients are cared for in the safest and most compassionate way. Are you looking for a hospital career with varied options and a people-focused culture? You’ve come to the right place. Our hospital careers are designed to promote an employee-empowered environment, where you can pursue a rewarding and fulfilling career in health care. At Ellis Medicine, we know that our greatest resource is our talented workforce. Each member of our health care team plays an important role in providing our customers with the superior service that makes Ellis exceptional. Our goal is to continually strive to recognize their many contributions every day. One way we show our appreciation for members of the health care team is through our employee benefit packages. Benefits provided by Ellis Medicine are among the most comprehensive available today. Learn more about the health care service provided and employment opportunities at Ellis Medicine today. Because at Ellis Medicine, we’re reinventing health care, one patient at a time. We serve Schenectady, NY. Call today to inquire about hospital careers. We are proud to serve Schenectady, NY and the surrounding areas! Apply today to get started on your hospital career! We provide acute hospital care to families in a diverse community from around the Capital Region of upstate New York and beyond, Our care network is comprised of more than 600 affiliated physicians and over 3,300 employees, you will find a diverse number of employment opportunities, including Registered Nurse jobs and other specialties, One way we show our appreciation for members of the health care team is through our employee benefit packages. Benefits provided by Ellis Medicine are among the most comprehensive available today.